Many of us in the Pacific Northwest have just emerged from a strenuously challenging winter. The sun especially the intensity of it is welcomed. I hear people apologetically complain about the heat. They truly are joking because the sun in this quadrant of the universe is awesome. To celebrate I checked in with the wine world on twitter on what is known as #winewednesday. 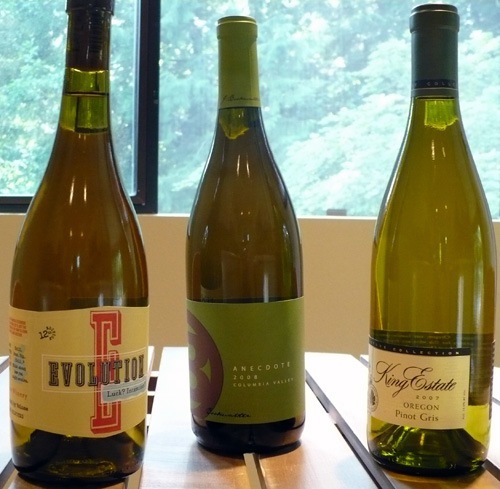 I sent a tweet out to see if I could get recommendations from Pacific Northwest wineries and preferably their winemakers on what wine they recommend pairing with our beautiful, sunny, warm, O.K… really hot weather (for us in the PNW). The sunny day wine challenge is to taste these wines, comment, and tweet about them so that we can compare notes for next #winewednesday. Next week we will tweet out for more recommendations from wineries and winemakers. I think if we taste enough wine recommended by the people who make the wine by the end of the summer we should collectively have perfected the best sunny day wine list around!